Lisbon Card Holder has a sleek design and application. 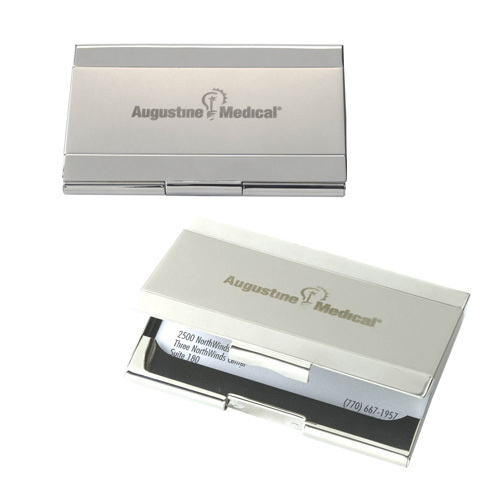 This dual tone silver metal business card holder fits effortlessly everywhere! Bulk / 35 lbs / 200 pcs.